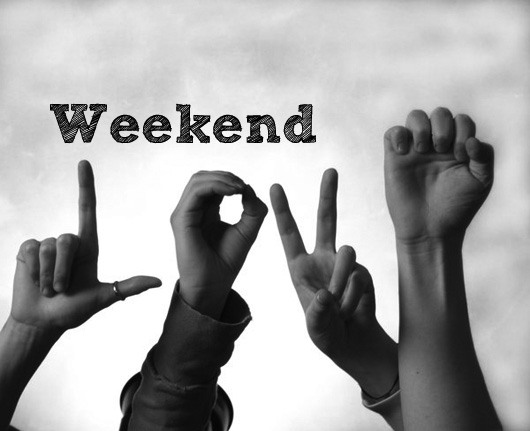 We all love the weekend don’t we? Sure an average weekend can be filled with errands and chores, but it is also a time to sleep in a bit and let loose with friends without the worry of it being a school night. The dose of fun and relaxation helps keep us going during the work week. Something to look forward to, which is why Wednesday is coined the hump day. But then there are weekends that are just beyond expectations. I call them Winning Weekends. And I am still coming down from the high of my past weekend which was a clear winner with the Dream it, Do it event and the Ballymaloe Lit Fest. I had already planned to take the ferry over from London to attend the Ballymaloe Lit Fest. 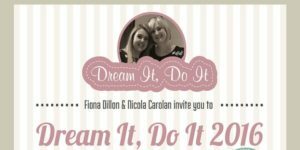 But a massive blessing appeared in my lap when the lovely Nicola Carolan of The Naked Blondie kindly invited me to join her and her partner Fiona Dillon at the Dream It, Do It event at the Dundrum Airfield on Saturday morning. So I delayed my trip down to Cork and I couldn’t be happier with that decision. Besides finally meeting Nicola in person (she and I know each other through snapchat) I met so many other amazing people for the first time. And I was treated to a day of inspirational stories of success and practical advice about blogging among other things. The event started at 10 am (though I arrived a bit late as I had to get my doggie Stella sorted with a friend) and concluded at 3pm with a lovely lunch in between provided by the Foodie Cafe. The goodie bags (swag as we call them in Hollywood) were phenomenal with delish foodie treats such as Glenisk yogurts and Cahill cheese. We also received some beauty items from Dove. There were laughs, tears, hugs and of course photo opps! It was the most amazing morning and the beautiful locale only added to the treasured memories I am still savoring! I was able to spend more time with my Snap Sista Jennifer Byrne of Jen’s Gym Life whom I adore. Finally getting a proper hug from another of my Snap Sistas Jen from Too Dolly Makeup was a treat. 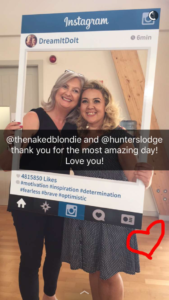 And seeing Sue Jordan from Cherry Sue, Doin’ the Do and her sister Corrina from Stone Travel again after meeting them at the IBA16 was awesome. I was able to meet the phenom wife/husband duo of My Nutrition Ireland and boy am I looking forward to what is in store there! And I got to meet fellow snappers Ash from The Dotty Lemon and Tracy Quinn in person just to name a few. Everyone was so so lovely! Thank you all for the most wonderful experience. 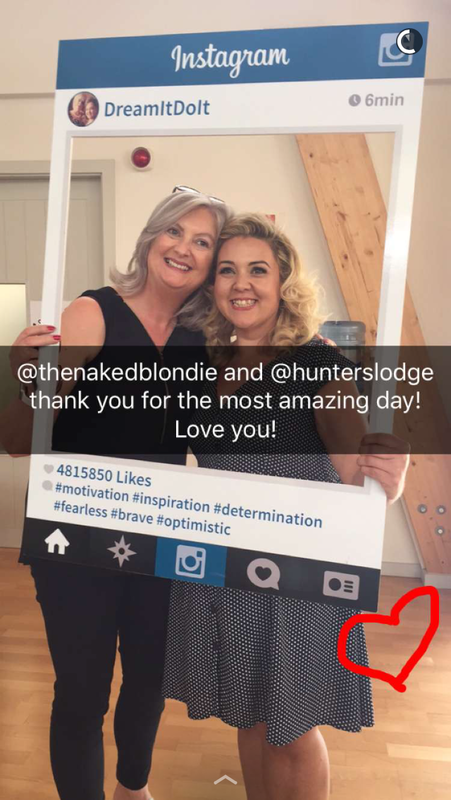 Only my second blogger event but ’twas very special indeed! As I have mentioned before I attended the Ballymaloe Cookery School back in 2007 and try to go back for visits as often as I can. I missed the Litfest last year, but was delighted I could go this time. Especially since Miriam from Bake My Style is currently taking the 12 week course (along with the lovely Yvonne who was a student in my cookery classes in Dublin). Of course it is always magical going back to this very special place. The Lit Fest is a foodie’s dream come true with so many opportunities to mingle with your favorite chefs, attend demonstrations, or just kick back in the Big Shed and enjoy some delicious food with wonderful music and atmosphere. Because my decision to attend was a bit last minute dot com, I missed out on tickets to the many events, as things get booked out from the day they come online in January. 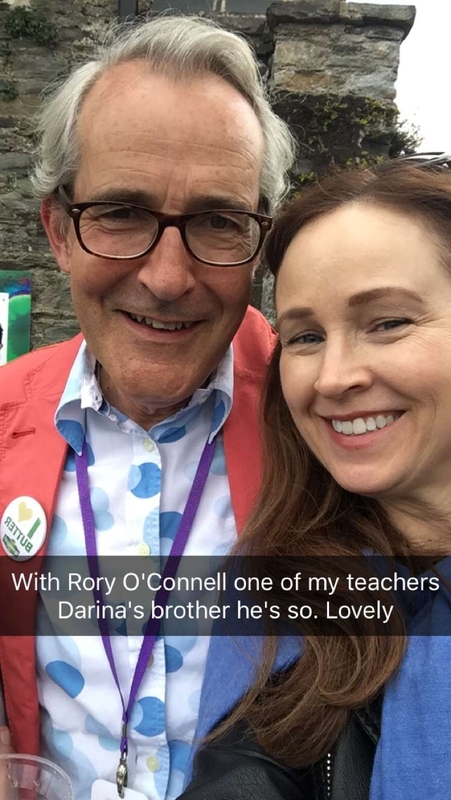 But since I had been before, I was actually just looking forward to visiting with my former teachers Darina Allen and Rory O’Connell. I said hello to some of my fav folks who keep the school afloat, such as Sharon, Florrie and Pam. 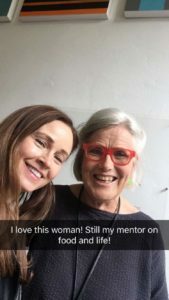 However, somehow I missed seeing my other teacher Rachel Allen (there are two locations where events take place, the school and the Ballymaloe House) so it was understandable we didn’t cross paths. But I did get treated to the Lens and Larder talk by the generous Imen McDonnell. It was a fantastic jam packed hour learning about food photography and styling as she was joined by her parter Cliodhna Prendergrast and also the husband wife duo Yvette Boven and Oof Verschuren. Besides learning so much in such a short span of time, of course there were some wonderful chats afterwards. And I am just yearning to take one of Imen and Cliondha’s weekend long workshops! There is something so ethereal about the entire Ballymaloe vibe, the location and the warmth of the people. 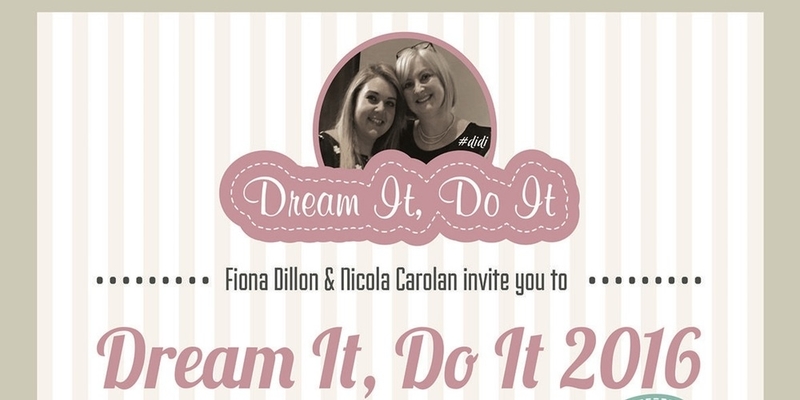 Along with my inclusion in the Dream it, Do it event I feel like I feasted on not only food, but love itself! So thank you to everyone who made it possible. Especially my dear Hubby who took me on holidays to the Ballymaloe House back in 2002. That trip forever changed my life. I put my deposit down at the school (though it took me five years before I actually went on the 12 week course). I wouldn’t be writing on this computer at the moment sharing my experiences if it weren’t for my soulmate and best friend. So thanks Hun from the bottom of my heart for your support and LOVE! P.S. I wrote a blog back when I was at the school called Karen in Cork. Just re-reading my last post really sums up my feelings. Though I didn’t start this blog now eight years later, I realize it was all part of the journey that got me to this Winning Weekend! And if you’re on Snapchat come watch, it’s loads of fun! 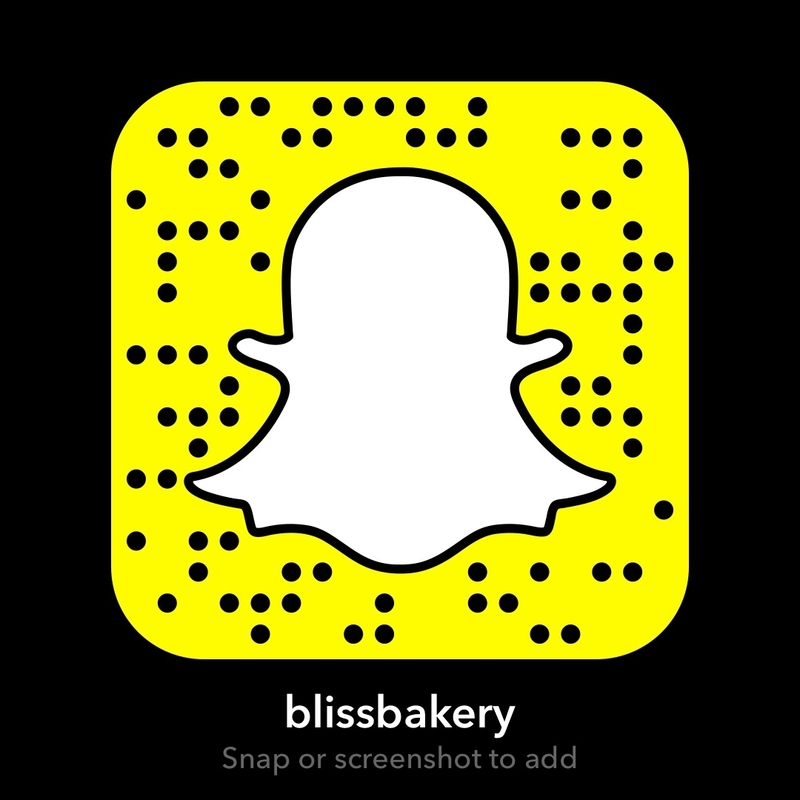 My username is blissbakery.